Next to having a Dynamic Curriculum, it is vital that you train your staff to deliver a Dynamic preschool or Child Care Program. Today I am going to share with you 5 easy ways to train your staff, so that children in your program are provided with High Quality Preschool or Child Care Experience. 1. Hire teachers that have experience and seek to hire teachers with early childhood education from an Accredited College. In fact, I believe that quality care begins with educated and trained staff. 2. Before you allow your new teachers or assistants to work in your classroom(s), Schedule a training day. 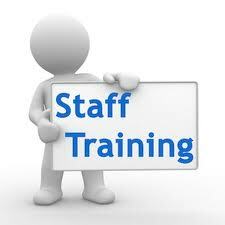 At your training; give your teachers a description of your curriculum and a handbook about your classroom. If you want quality services you must have a written plan, train your staff on the plan and follow-up to see that your teachers are implementing your guidelines. 3. Require that your teachers attend workshops on curriculum development, health,safety & nutrition, Physical Environment and Parent Communication. 4. Develop an observation and mentoring plan for your teachers and provide them with resources that will empower them to become dynamic teachers. 5. Finally, Consider having weekly or monthly quality care meetings. In your meetings, it is vital that you tell your teachers how they are doing, offer them quality care tips and get their feedback. One of my old employees told me that I was a micro manager. In fact she felt that I was not letting her be a teacher. In other words, she wanted me to not monitor her classroom so closely. One day I was observing one of my classrooms via the video monitoring camera and I noticed that the teacher’s body language toward the children was quite negative, so I decided to leave my office to observe and listen to what was going on in the classroom. It appeared that she was tired and very short-tempered with the kids and I noticed it on the video monitoring camera. I asked her if she was tired and she said,” No, but Mrs. Morgan you know how some of these kids can be.” I told her, “that is no excuse to speak to the kids in a harsh manner.” So she went on break and after her break, she told me that she could not work for me any more and told me I was a micro-manager. I was glad that she quit, because it really revealed to me that I had the wrong person on my team and really feel that the owner must always look out for the best interest of the kids and hire teachers that feel the same way that you do. As an owner of a childcare center of over 9 years, I have decided to continue to closely monitor the practices of my staff or hire someone else to do it, because the practices of your staff will ultimately give your childcare business a great reputation or ruin your business reputation! The video that you are about to view below is a great example of why classroom practices must be closely monitored. I look forward to reading your thoughts about this post. Hand Written or Computer Generated Receipts?